On Guard, On Guard, On Guard! The uses for it are seemingly endless. 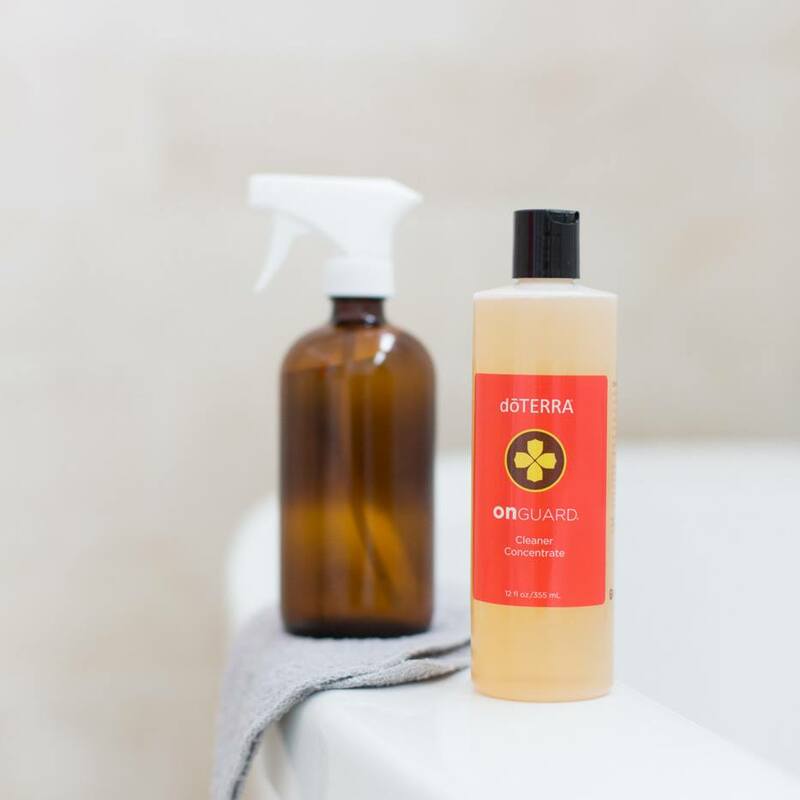 One bottle of On Guard Cleaner Concentrate fills 18 16-ounce bottles with the perfect cleaning solution. So for the wholesale price of $14.50 per bottle of On Guard Cleaner Concentrate, you can fill 18 bottles at 80 cents apiece. So now that you’ve got 18 bottles of cleaning solution, what can you do with it you might ask. The better question is what can’t you do it with it. This cleaning concentrate is perfect for dishes, countertops, shelves, floors, and pretty much any other surface you can think of. I also love it because I can use it knowing it is safe for my family with it being a plant-based cleaner. On Guard contains Clove, Cinnamon, Wild Orange, Rosemary, and Eucalyptus. Giving it a great scent. Here are a number of ways I use On Guard in my house.